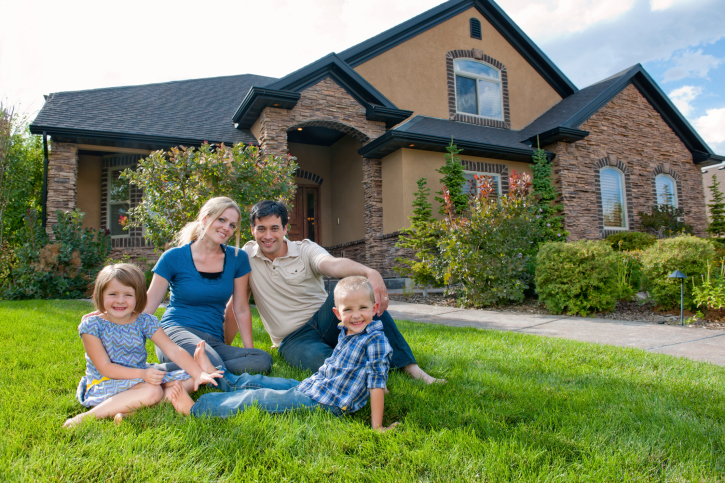 Ask family and friends about their homeowner’s insurance. Check the Yellow Pages, the National Association of Insurance Commissioners (NAIC) and the state insurance department. Other places to shop for insurance include consumer guides, insurance agents and online insurance quote services. Don’t just look for lower prices, however. You need a fair price for the services you need. The deductible is how much you have to pay before the insurance company starts to pay a claim on your home. The higher the deductible, the lower the premiums. If you live in a disaster-prone area, your policy may have a separate deductible for specific types of damages. Make sure, when reading the policy, you carefully go over damage-specific information. Some companies will take five to fifteen percent off your premium if you buy more than one policy from them. If the insurer offers homeowner’s, auto and liability coverage, you stand a chance of having a lower premium than if they only offer one or the other. The key is to make sure that the combined price is lower than the price would be if you had purchased them separately. By installing a sophisticated fire sprinkler system and a fire/burglar alarm that rings the monitoring stations, some companies will cut your premium as much as fifteen or twenty percent. For a smoke detector, burglar alarm or deadbolt locks, you can usually get at least a five percent discount. Check with your insurer to make sure that the system you’re installing will lower your premiums, though; the systems aren’t cheap and not all of them qualify for a discount. Read everything carefully before you sign, to make sure the policy covers your insurance needs without adding on hidden fees. Even a little money saved can go a long way toward making it easier to live within your budget. Ready to buy a home? Let me help you find the perfect home and get it at the best terms and price. Call or email your trusted real estate professional. Wrought iron is a classic accent that has been used to beautify homes for centuries. Its strong and simple elegance is a wonderful addition to any modern home and can be incorporated into home design in many different ways. Wrought iron is considered to be masculine from a design standpoint. It is a great way to add depth and balance to a home. It works well with both light and dark palettes, and can be incorporated into most modern home designs. Because it is fabricated by welding, wrought iron has a strength beyond that of most construction materials. It also adds a dramatic finish to exposed beams and ceilings. These railings are durable and can be fabricated in many beautiful designs. They have been a popular choice in home design not only for aesthetic reasons, but also because of their strength. Railings of all kinds can be done in wrought iron. 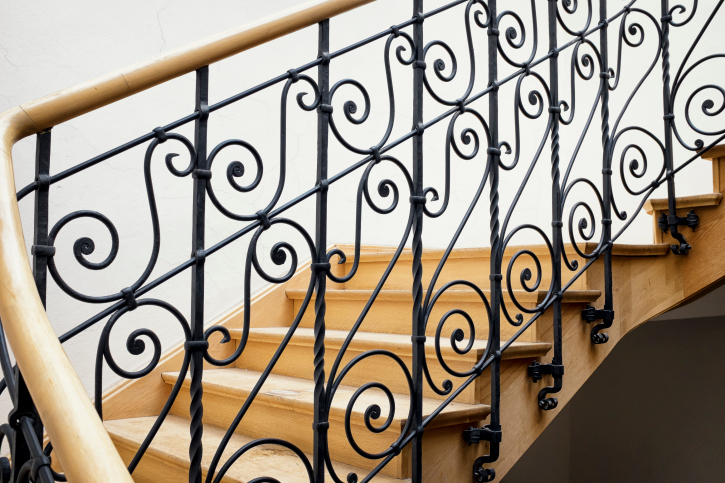 Staircases, landings, and decks are just some of the places we are seeing more wrought iron in modern homes. Entry gates in wrought iron make a rich and dramatic statement. They are impressive, add great appeal, and are quality security features. There is something so striking about the combination of wood and iron. Accenting a wooden gate with large wrought iron hinges and handles gives the gate new depth and beauty. Staircases are also an excellent place where wrought iron and wood can be combined to create eye-grabbing features in modern architecture. Wrought iron décor items make the richness of wood stand out beautifully. A couple of small sculptural pieces on a wooden mantle or floor will bring attention to the natural beauty of the grain. Wrought iron furniture finds a fitting home in modern architecture. It has always been a popular choice for exterior design, but is being incorporated more into interior design as well. Wrought iron patio furniture and trellises are used as focal points in outdoor landscaping, and the same can be done inside. Wrought iron in a modern kitchen or any room is quite striking. Tables, chairs, and beds can all be found in unique wrought iron designs. Wrought iron lighting fixtures are dramatic and beautiful. From sconces to chandeliers, lighting fixtures are a functional way to bring wrought iron into a home. Some designers like to showcase the entry of a home with an impressive chandelier. The theme is easily carried through a home by using these lighting fixtures in the dining room, hallways, and kitchen. Impressive outdoor fixtures and light posts can light the way for visitors to your doorstep. Wrought iron is a simple, strong, and beautiful addition to a modern home. It is a great way to add appeal and value to your house and property. Last week’s economic news was quiet in the housing sector, but retail sales and employment-related reports provided indications of less consumer spending and reduced consumer confidence. On Monday, James Bullard, St. Louis Fed President, commented that inflation appears to be rising. Although not a voting member of the Fed’s Open Market Committee (FOMC), inflation has been a topic of concern to the FOMC in recent years. Mr. Bullard had previously noted that inflation was stable. His remarks set the stage for this week’s FOMC meeting and press conference by Fed Chair Janet Yellen. Analysts expect the Fed to continue tapering its asset purchases as it winds down its quantitative easing program. Labor related reports were mixed last week. Job openings in April rose to 4.46 million in April; this was the highest reading since September 2007 and exceeded the March reading of 4.17 million job openings in March. More good news came from the U.S. Labor Department, which 4.71 million hires in April. This was the highest rate of hiring since June 2008 and represented a year-over-year increase of 6.00 percent. At the start of the recession at the end of 2007, about 5 million job openings were reported. Weekly jobless claims were reported at 317,000 as compared to expectations of 310,000 new jobless claims and the prior week’s reading of 312,000 new jobless claims. The four-week rolling average of new jobless claims rose by 4,750 new claims for a total of 315,250. The four-week gauge of jobless claims evens out weekly volatility and is viewed by analysts as a better indicator of labor market trends. Mortgage rates were higher according to Freddie Mac. The average rate for a 30-year fixed rate mortgage rose by six basis points to 4.20 percent; discount points rose from 0.50 to 0.60 percent. The average rate for a 15-year mortgage rose by eight basis points to 3.32 percent with discount points unchanged at 0.50 percent. The average rate for a 5/1 adjustable rate mortgage rose from last week’s reading of 2.93 percent to 3.05 percent. Discount points were unchanged at 0.40 percent. The Fed’s quantitative easing program was implemented to control long-term interest rates, including mortgage rates. Gradual tapering of this program is allowing mortgage rates to rise. Other influences include investor concerns over recent decisions made by the European Central Bank. Consumer sentiment slipped slightly for June according to the University of Michigan Consumer Sentiment Index. June’s reading was 81.20 as compared to an expected reading of 82.80 and May’s reading of 81.50. Next week’s scheduled economic news includes the NAHB Housing Market Index for June and Housing Starts for May. These readings are important indicators for housing supplies, as a lack of builder confidence can translate to fewer housing starts. Housing markets were impacted by high demand for homes against low inventories of available homes during 2013 and into 2014. Also noteworthy is the FOMC post-meeting statement and Fed Chair Janet Yellen’s press conference. The FOMC sets the Federal Reserve’s monetary policy and is expected to announce further tapering of the Fed’s quantitative easing program. It will be interesting to learn the Fed’s perspective on inflation, which has been stuck below the Fed’s target level of two percent. Friday’s release of Leading Economic Indicators for May round out this week’s economic reports. Many home owners putting up their home for sale on the market don’t have a lot of available cash to spruce it up. 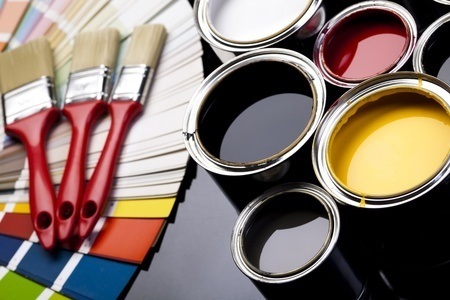 While staging houses is a definite plus, it can cost a fair amount of money, as do many of the other suggested “to-dos.” Here are a few inexpensive and easy ways to make your home look more inviting to buyers. Not every buyer looking at a home for sale appreciates the fact that someone still lives there. Putting away the your personal things can help the buyers’ see themselves in the home. You will want to put your pet’s things (toys, litter box, bowls) away and out of sight. The same goes for your medications, toothbrushes and toilet accessories. Clean up your kids’ rooms and put away any toys around the house. Minimize or put away knick-knacks and personal pictures. Remember that you want the buyer to imagine themselves in the home. Small, closed-in spaces are major turnoffs for buyers. Create the illusion of more space by putting up out-of-season clothes or clothes you don’t wear very often to make your closets look bigger. A good way to make your bedrooms look bigger is by taking one piece of furniture out of each bedroom. Packing up the small appliances in your kitchen is a great way to make your countertops seem larger. You can also take out all but four chairs in your dining room, as well as extra table leaves to give that illusion of space. Chances are that some of the buyers are paying attention to celebrity trends. Feng shui is a big one, and you can do your part with just a few touches like adding a fresh bowl of fruit to the kitchen. Put a comfortable couch or chair on the east side of your living room or den. Place a green welcome mat on your porch to symbolize opportunity. Go through your house and get rid of reds. Whether you see or feel a difference doesn’t matter. Keep in mind that you’re trying to appeal to potential buyers of your home, not make the home more livable for you. If it helps, pretend that you’re the buyer, seeing the house for the first time. If you’re trying to get your home ready to sell, I can help. Get in touch with me for more information. Purchasing an investment property is one of the most important decisions that you’ll ever be a part of. As such, it’s a necessity to make your decisions with only the most careful of consideration. Here are six tips that you need to heed in order to ensure that you don’t get fleeced. Yes, this is a whole lot easier said than done. However, it’s not impossible. All it takes is some patience and research. 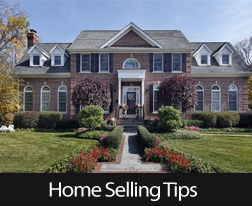 You have to determine what everything in your area is selling for in order to be able to spot a bargain! Further, you need to know that various property classes will outperform each other. For example, land and home units will appreciate differently. It’s always a good idea that you know how to maintain your mortgage repayment obligations over the long term. It’s recommended that you analyze the cost of servicing any loan only on an after-tax basis. By taking this approach, you have the power to calculate and put the cost into actual terms that make sense for you. Finding a good property manager who is a professional in his or her field is vital. Your property manager’s job will be to make certain that everything is in order between you and any of your tenants. A good property manager can extract the best possible value for you from your property and help to keep your tenants in line as well. There are many options available for financing the investment property that you choose, so it’s best to get sound advice. Options such as a variable rate loan and a fixed rate loan are both popular choices, but your specific circumstances will dictate what’s most suitable for you. Consider that variable rates often end up being cheaper over time, yet fixed rates at the right time are ideal. Leverage the equity from your residence or another investment property. Doing this is actually an ideal way to purchase your investment property. Equity can be calculated by way of calculating any difference between what you owe on your mortgage and the overall value of your property. It’s best to analyze what other properties are available in the area when you’re looking at an investment property. It’s very advisable to actually talk to both local people and real estate agents in the neighborhood. They can give you hints on small, yet vital, things like which side of a street is considered more desirable. These are the six tips to help make sure that you don’t ever get fleeced when buying an investment property. They can make the difference between purchasing a great property that has a high return on investment and purchasing a lemon. Call your trusted Real Estate professional today for more information. These days, efficiency and productivity are the keys to life, which is why it’s no surprise that home automation is a bigger topic than ever before. As more and more people become tech savvy and get used to working with handheld devices, home automation becomes a natural fit for your smartphone or other handheld device. After all, it’s a true pleasure to be able to control nearly everything in your home from just one device! You have so many things to do each and every day that it could be too much of a hassle to do everything separately and to control everything independently. Home automation solves that problem for you. 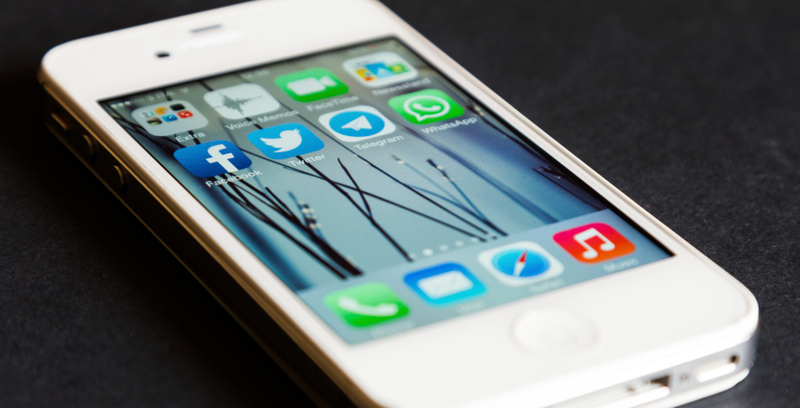 Here are the three iPhone apps that will make home automation tasks much quicker and easier. Sure, this app will cost you $50, but it’s well worth it in order to have everything controlled at the tips of your fingers. You can use this app from anywhere on the planet or simply while you’re plopped down on the couch… your choice entirely! It incorporates HAI’s solid home automation controls with an amazing user interface experience to deliver convenience and efficiency to users. So far the app has received excellent ratings from users. Out of 112 ratings, it’s averaged a 4.5 out of 5 score on iTunes. This iOS app from Revolv Inc. allows you to unify and centrally control a slew of various, connected home devices. Examples include locks, smart lights, outlets, sensors, thermostats and even wireless music systems, just to name a few possibilities. The app taps into the iOS system to empower you to seamlessly and effortlessly complete a bunch of automated tasks. This app lets you create several automated directives from geo-location, time and on-demand triggers and sensors. Such convenience and control is both practical and highly rewarding. The Loxone app allows you to control your residence from your iPhone, iPad or iPod Touch. The possibilities are endless because, with this app, you can regulate everything from your home’s blinds and heating to the music that’s playing in any given room. All you have to do is make a few taps on your iPhone’s screen, and you’re done! This makes the Loxone app one of the most ideal and efficient home automation apps out there. It’s definitely a good idea to install this app on your iPhone today. You won’t regret it, and running the devices inside of your own home will be something you’ll look forward to, rather than something you dread. Thanks to these home automation apps, you’re in good shape to feel in control of all of the devices in your home. Whether it’s the blinds, the heating or an entertainment device like your stereo, these apps have you covered so that you can proceed efficiently and productively.